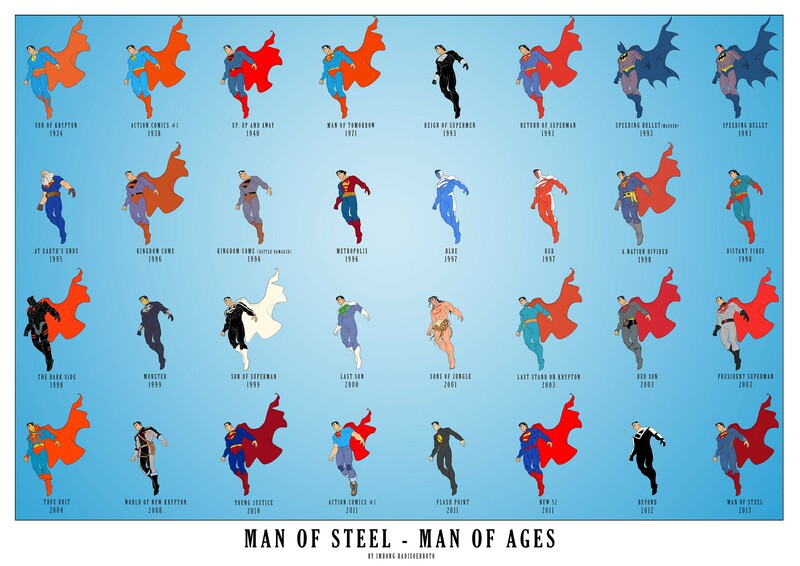 DeviantARTist BongzBerry created this in anticipation of Man of Steel in June. Be sure to click the picture to view it in full size! The New 52 Superman is easily my all time favorite. I love what Jim Lee did with the costume. And it’s interesting that Superman only changed a few times until he died in the early 90’s, and since then he’s had more costumes than Lady Gaga. Can’t quite work out why Batman is lurking in there.. It was from an Elseworlds called “Speeding Bullet”. In the story, baby Kal El was found by Thomas and Martha Wayne, not the Kent’s. So, Kal was raised as their son. He witnessed his parents being murdered, etc. So he became Batman, but as Superman.